Despite their name, baby kiwis (aka mini kiwis, kiwi berries, kiwi grapes, cocktail kiwis, hardy kiwifruit, souris vegetale) are not actually immature conventional kiwis. 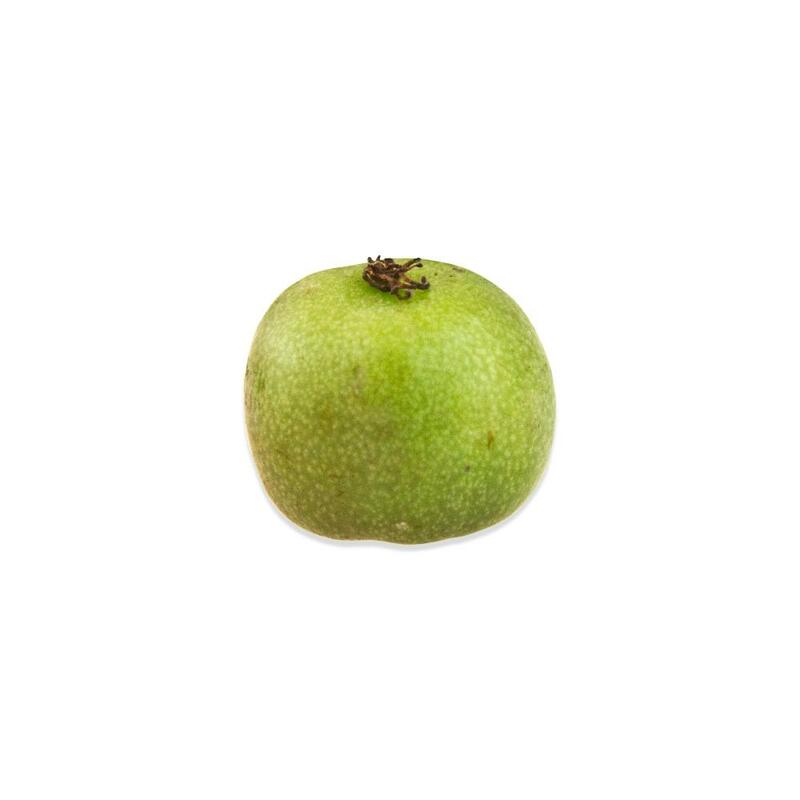 Instead they are a variety of fuzz-free, grape-sized kiwi fruit with a striking emerald color occasionally tinged with red or yellow. Completely edible, they offer a delightful melon/lemon/strawberry-like flavor and are roughly four times as sweet as regular kiwis. They have about twice as much vitamin C as oranges and about as much potassium as bananas. Store baby kiwis in your refrigerator. 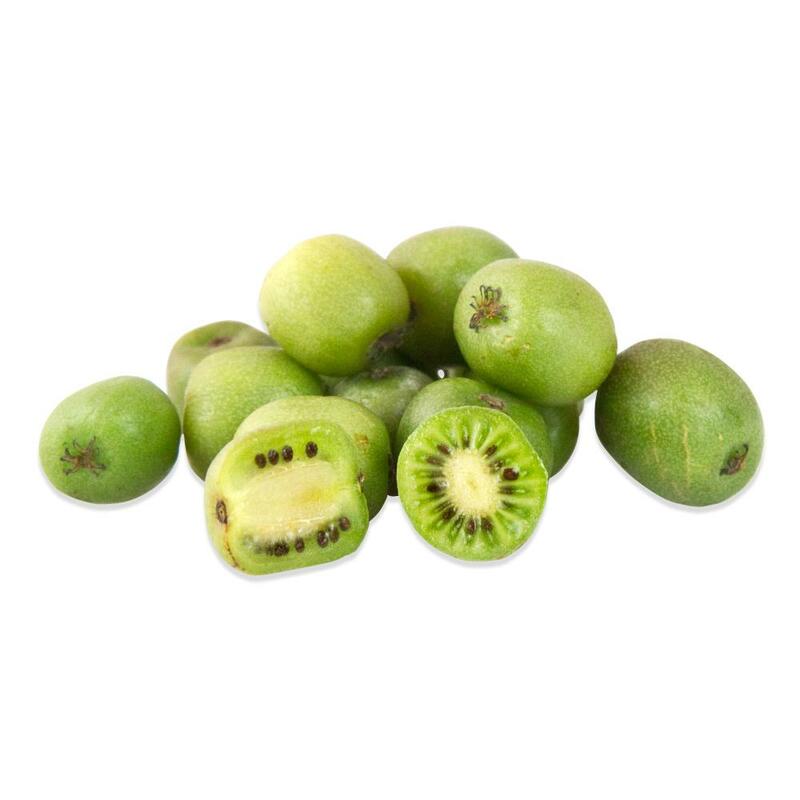 Baby kiwis can be used in salads, desserts, shakes, smoothies, or as an exciting cocktail garnish similar in size to an olive. They can be paired with mild flavored meats, poultry or seafood, and you can manipulate their sweetness in salads by smoothing it out with avocado or cutting it with bitter Treviso.